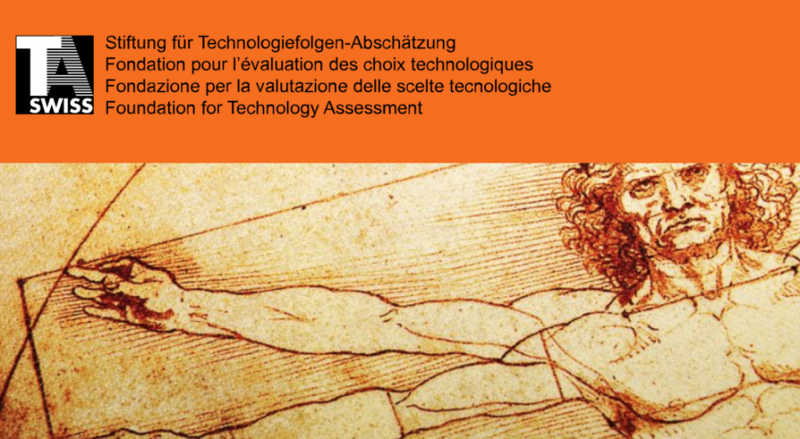 TA-SWISS is the Swiss Centre for Technology Assessment that deals with the possible consequences (opportunities and risks) of using new technologies on social coexistence and on the environment. As part of its mission, TA-SWISS launches studies and draws its own conclusions, formulates and publishes its own recommendations and thus provides guidance for politicians, citizens and their organisations. TA-SWISS brings together experts from a very diverse range of subject areas and consults citizens. The analyses carried out by TA-SWISS are always centred around a consideration of possible “technological futures” from social, economic, ecological, ethical, legal and political points of view and working out courses of action from these.